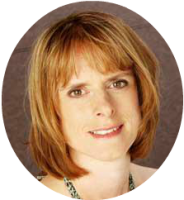 Louise Smalley – A cognitive hypnotherapy practitioner based in Bexley and central London. “If you feel you are drowning. Cognitive Hypnotherapy can help with anxiety, depression, low confidence, phobias, weightloss, stopping smoking, pain and much more. It is an evidence based therapy which helps you find your own solution to your problems with me being the facilitator. Cognitive Hypnotherapy is a brief solution based therapy that guides you towards your own goals giving you the tools to reach them. During trance you will be in complete control and aware of what is going on unlike the impression given by stage hypnosis. Being in trance means I can communicate with your unconscious and the unconscious is more open to suggestion. Cognitive hypnotherapy helps identify negative problems and lets you gain control of your mind again. Cognitive means how we aquire knowledge and give it meaning. This type of therapy also deals with the imbalance between the conscious mind, which gives us logical thinking and the unconscious mind, which deals with instincts and habits. I worked for twelve years as a Dental Nurse at Guys hospital where I first came into contact with hypnotherapy . I am now a fully qualified Cognitive Hypnotherapist and NLP practitioner and I trained at the internationally acclaimed Quest Institute at Regents College London with Trevor Silvester. The reason I trained is because I have suffered with anxiety and stress myself and found Cognitive Hypnotherapy to be a very effective tool to help me view my life more positively and therefore helping me keep more calm and contented. I hold a Hypnotherapy Practitioner Diploma (HPD) which is the first recognised nationally accredited hypnotherapy qualification in the UK. I am a master practitioner of NLP and I have been CRB checked and I am fully insured. "I wouldn't have any hesitation in recommending Louise's service. She worked wonders for me in only two sessions and I can't thank her enough. I am in the process of studying for a degree and she has helped with self confidence and anxiety issues... she has a wonderfully calm, comforting manner and gets to the issues that need addressing by asking all the right questions." "We would like to thank you for your wonderful hypnotherapy service you provided for our 10 year old who had problems with bedwetting several times a week. Your sessions were so very gentle and put our daughter at great ease. And we are pleased to say it has resolved the problem and our daughter is now dry every single night!" "Louise is a warm, engaging professional who is highly knowledgeable as a therapist. She has a excellent understanding of hypnotherapy and NLP and she was fantastic in working with me to give me the confidence to take on a new business venture. I would highly recommend her if you are looking to make changes in your life." "Louise has been a huge help with my anxiety and confidence issues. She is very easy to talk to, has a calm and approachable manner, and a very relaxing voice. I will be eternally grateful for her help, my only regret being that I didn't contact her earlier. I would definitely highly recommend Louise. I am still amazed at the difference she has made to my life after only three sessions." "I would not have any hesitation in recommending Louise. She is a patient caring therapist. Louise helped me through my anxiety and has given me confidence to get on, do my projects and enjoy things I love doing. Like garending, craftwork and going out." "I had developed agroaphobia after a nervous breakdown and my daily life was affected due to the fact I didn't want to go out. Several sessions with Louise has helped me overcome my fears and I'm now living the life I enjoyed and remembered before. Many thanks"
"I went to see Louise for help with my anxiety as it was getting worse and I had been trying to deal with it for 4 years on my own but knew I needed help this year. Booking my 4 sessions with Louise has been one of the best decisions I have made as she has helped me to overcome so many things especially my anxiety which rarely affects me now. I feel like a new person and I am living my life how I use to before the anxiety seriously affected my everyday life. It is absolutely amazing how hypnotherapy can help so much in such a short amount of time and I have wasted no time telling people about this. Thank you, Louise, for your excellent sessions and helpful recordings." "Can I just once again say thank you. I have been to Belgium over night and your mp3 stopped me leaving halfway through and stopped my panic attack from developing. I went to a party last night and got involved without shying away, and I am chatting to a potential boyfriend now. I don't know how you have done it but since I have seen you there has been a marked change in my lifestyle for the better." "I was lucky enough to find Louise soon after having my first episode of anxiety/stress/burnout. After speaking with her on the phone regarding the initial consultation, she was so warm and understanding, she instantly gave me hope. It didn't take many sessions before the anxiety rapidly dropped and I felt a better version of myself. I enjoyed the mix of hypnotherapy and NLP and whilst Louise was always professional, she was so easy to talk to and more often than not, it didn't even feel like therapy. I would highly recommend Louise to anyone suffering from stress and anxiety. She has literally changed my life." Louise gave me small techniques to help me cope with everyday situations when I felt stressed or overwhelmed or falling back into old habits - these strategies help you between each session and when they come to an end. Pick up the phone today." Prices starting from £55 in Bexley and Hextable for 60-90 minute sessions.